OIPA - International Organization for Animal Protection, is an International Confederation of associations for the animal protection and for the defence of animal rights all over the world. 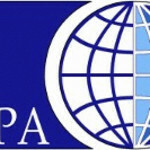 Founded in 1981 by Milly Shar Manzoli, OIPA is a Non Governmental Organisation associated to the UN Department of Public Information since 1992. The purpose of the Organization consists in the defence of animal rights and in the defence of the animals from every kind of mistreatment. It also follows the purpose of improving the public health through the abolishment of any kind of animal experiments throughout the world. International Doctors is an international association of doctors from different countries who fight against vivisection on a scientific level. It was founded on the 24th of October 1987 in Zurich. International Doctors are active in: - Organising international scientific congresses against vivisection - Publishing strict scientific documents in order to prove the uselessness of vivisection - Promoting conferences and debates by agencies, schools and universities world-wide - Funding researches that don't use animals - Stimulating the development of truly scientific techniques, therefore without the involvement of animals. The association International Doctors is formed by scientists against vivisection who work in the research fields where it is practised. To International Doctors - LIMAV can apply people with a degree in one or more of the following subjects: Medicine and Surgery, Veterinary Medicine, Biology, Pharmaceutical sciences, Chemistry, Chemistry and Pharmaceutical Technologies, Natural Sciences, Psychology, Biomedical Engineering. Applying to International Doctors - LIMAV is completely free and doesn't involve any payment. The only duty is agreeing with the charter, "The Association's purpose is to abolish animal experimentation". This Legacy represents a very important international reality which is constantly growing: it counts thousands of members throughout the world, encompassing university teachers, researchers and free lanced professionals. International Doctors office is in Milan. Animals are exploited and abused in many ways: in raising them for food and clothing; in entertainments such as circuses; in testing cosmetics and household products; in scientific experiments of many kinds; and when companion animals are abused or neglected. It is time to say NO to animal abuse. It is time to say stop to the use of the animals for business or selfish gains, stop to the abandonment, stop to the abuse. From today OIPA Inspectors in Milan offer more guarantee for the protection of the animals in the city. Animals are not toys. They are sentient beings who, like us, require love and protection. OIPA's purpose consists of the defence of animal rights and to protect animals from any form of mistreatment. OIPA inspectors investigate and help prevent cruelty to animals. Their work includes: investigate neglect and cruelty complaints, inspect animal establishments such as kennels and pet shops, inspect events like circuses, produce written reports, advise owners on proper care, give talks and presentations to educate the public about animal care. OIPA works in conjunction with local authorities and communities on a number of projects aimed at finding long-term solutions to problems of animal cruelty... For those who live in Milan: please feel free to contact OIPA if you need guidance or support. If you suspect that an animal is being abused or neglected, it is important that you do something about it. Your involvement may be the animals only hope. Persistence has saved countless animals from abusive people. You are in the position to make all the difference in the world for the animals in your community.